With a stay at College Park Marriott Hotel & Conference Center in Hyattsville (Berwyn), you'll be steps from University of Maryland-College Park and a 3-minute drive from Xfinity Center. This hotel is 10.3 mi (16.6 km) from Smithsonian's National Zoo and 12.2 mi (19.7 km) from FedEx Field. Make yourself at home in one of the 237 air-conditioned rooms featuring Smart televisions. Wired and wireless Internet access is complimentary, while video-game consoles and cable programming provide entertainment. Private bathrooms with showers feature complimentary toiletries and hair dryers. Conveniences include phones, as well as complimentary weekday newspapers and coffee/tea makers. You can enjoy a meal at The Common Restaurant/Pub serving the guests of College Park Marriott Hotel & Conference Center, or stop in at the grocery/convenience store. Quench your thirst with your favorite drink at the bar/lounge. Buffet breakfasts are available daily from 7 AM to 11 AM for a fee. Featured amenities include complimentary wired Internet access, a 24-hour business center, and limo/town car service. Planning an event in Hyattsville? This hotel has facilities measuring 39000 square feet (3623 square meters), including conference space. A roundtrip airport shuttle is provided for a surcharge (available on request), and free self parking is available onsite. The hotel offers a restaurant. A bar/lounge is on site where guests can unwind with a drink. Business-related amenities at this 3.5-star property consist of a 24-hour business center and limo/town car service. A computer station is located on site and wired and wireless Internet access is complimentary. Event facilities measuring 39000 square feet (3623 square meters) include conference space. This business-friendly hotel also offers a 24-hour fitness center, multilingual staff, and gift shops/newsstands. For a surcharge, a roundtrip airport shuttle (available on request) is offered to guests. Onsite self parking is complimentary. 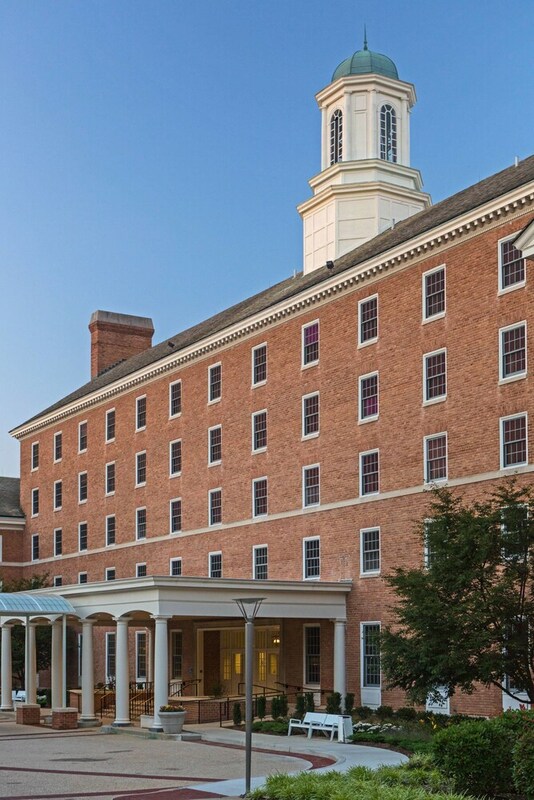 College Park Marriott Hotel & Conference Center is a smoke-free property. The Common Restaurant/Pub - This restaurant specializes in American cuisine and serves breakfast, lunch, and dinner. Guests can enjoy drinks at the bar. Open daily.